A landowner group believes the state Health Department did not have the authority to grant a proposed hog farm near Buffalo an animal feeding operations permit. Rolling Green Family Farms was granted an "animal feeding operation permit." Concerned Citizens of Buffalo argues Rolling Green needs a different – and more strict – permit. The group also said the Health Department should have re-opened a public comment period after Rolling Green amended the application. The mayors of Bismarck, Mandan and Lincoln have launched an effort they say will lead to healthier communities. The “Gold Star Community Task Force” will look at addiction and behavioral health issues facing the area. "I have a cousin who is an emergency room physician, and he had been pinging me about what he's seeing, and what he thought the city's responsibilities were," said Bismarck Mayor Mike Seminary, who is spearheading the effort. "I said to myself, 'We need to be more pro-active.'" The latest US Drought monitor now shows about a quarter of North Dakota is in a moderate drought. Flu season is nearly upon us. Already, clinics and pharmacies are offering flu vaccine. This year’s vaccine has changed. 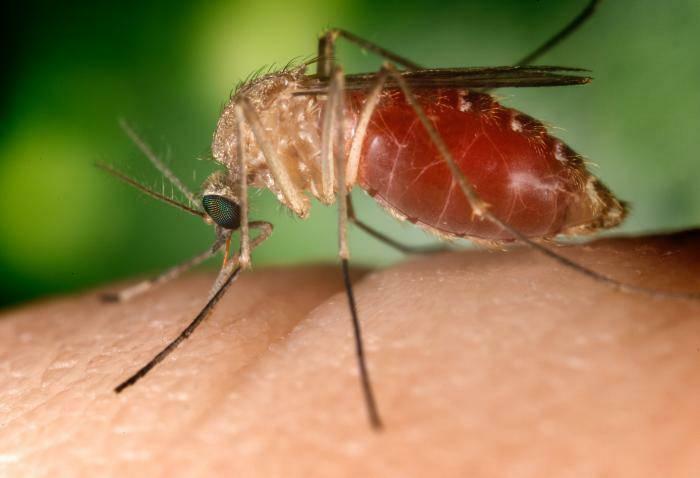 "They've changed the 'A' strain vaccine, because of what is circulating in the southern hemisphere," said state Health Department infuenza coordinator Jill Baber. "They've also switched which influenza 'B' is in the trivalent vaccine." Baber said there are two types of the 'B" strain. She said both are in the quadrovalent vaccine. As children enter school, are their vaccines up to date? With school starting, the North Dakota Health Department is reminding parents to make sure their children’s vaccines are up to date. "When you;re in a school, you have a situation where a vaccine-preventable disease could be introduced," said Health Department Epidemiologist Lexie Barber. "If kids aren't up to date on their vaccinations, that disease can spread quickly throughout that school." An award for the Public Service Commission’s Abandoned Mine Lands program. The federal Office of Surface Mining Reclamation and Enforcement has given the PSC its “Small Project Award” for a drilling and grouting project at the Halleck Mine, five miles north of Bowman. The Halleck Mine was an underground mine, that was in operation between 1919 and 1944. "The coal seam there was 30 to 40 feet thick, with only 10 to 50 feet of overburden," Commissioner Randy Christmann said. "So, obviously, that is going to cause sinkholes over time." Catholic Health Initiatives is forming a regional health care system for central and western North Dakota. 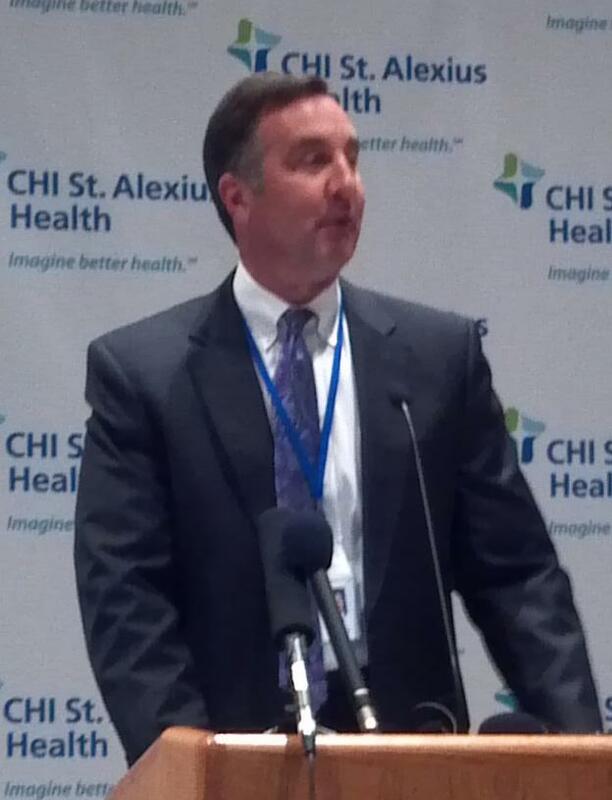 What this means: CHI-St. Alexius of Bismarck, CHI Mercy Medical Center in Williston, CHI-St. Joseph's in Dickinson, CHI-Carrington Health, CHI Mercy Hospital in Devils Lake, as well as hospitals an clinics in Turtle Lake, Minot, Mandan and Washburn will now be under the CHI-St. Alexius name. The first of its kind in North Dakota. Altru – the Grand Forks Medical center – and Medica – an insurance company – are setting up what’s called an “Accountable Care Organization” – the first of its kind in North Dakota. "It's a way to incent providers, patients and insurers to work together to manage population health, rather than each entity focusing on their own function," said Altru Chief Financial Dwight Thompson. Thompson says the ACO was created for employers. He says the insurer and provider will work together – and it will help provide better medical care. The state Water Commission has approved a project to provide the city of Leonard, in Cass County, a new water supply. The city had been getting its water from wells. But those wells have high levels of arsenic. Duane Wadeson is from Leonard. He became ill in December, 2014. "High fever, hair loss, nausea, high white blood count" were Wadeson's symptoms. He says at first, doctors couldn't find the problem. Then, he asked for a poison test.